One of the biggest obstacles to a happy, strong marriage is a lack of understanding of yourself and your spouse. With Strengths Based Marriage, MarriageToday cofounder Jimmy Evans and Gallup Certified Strengths Coach Allan Kelsey give readers the tools they need to dismantle that hurdle and develop a deeper and richer relationship. 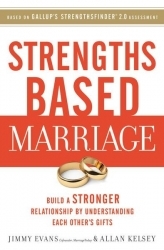 Applying the revelatory concepts from the popular Clifton StrengthsFinder assessment to marriage (assessment itself not included in purchase price), Evans and Kelsey break new ground in helping readers understand themselves and others. With chapters on “Stopping the Cycles of Pain,” “Speaking Love to Your Spouse’s Heart,” and “Secrets of Successful Marriages,” the book details practical ways to apply these profound insights to your marriage every day. And as a bonus, with your purchase of the book you’ll receive access to more than two hours of exclusive video content revealing how to reach your marriage’s full potential. Utterly practical and deeply insightful Strengths Based Marriage will forever change the way you see yourself, your spouse, and your marriage. - Dr. Henry Cloud, clinical psychologist, acclaimed leadership expert and best-selling author. - Drs. 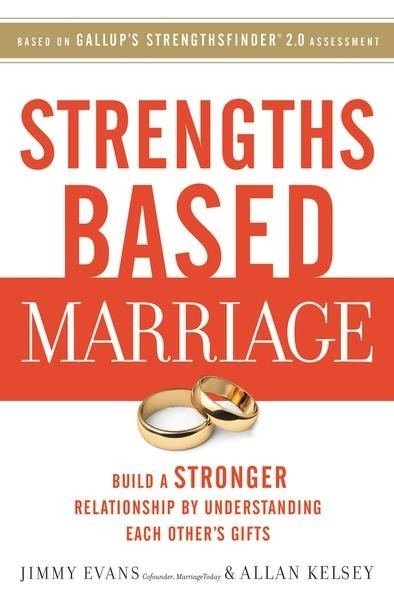 Les & Leslie Parrott #1 New York Times best-selling authors of "Saving Your Marriage Before It Starts"
“I can’t think of two people more qualified to write a book about how to have a strengths-based marriage than leading marriage expert Jimmy Evans and strengths coach Allan Kelsey. You’ll discover how you were uniquely created and how your strengths allow you to connect with your spouse on a deeper level. I know these revolutionary truths can radically transform hurting marriages and make healthy marriages even stronger."